Brooklyn’s alternative rock heroes They Might Be Giants remain prolific as ever 35 years into their career. Their latest achievement is contributing the song “I’m Not A Loser” to SpongeBob SquarePants: The Musical which received a TONY Award nomination in the ‘Best Original Score (Music And/Or Lyrics)’ category and earned 12 nominations overall. Earlier this year, the band released their 20th full-length album I Like Fun, was a guest on WTF with Marc Maron podcast, was referenced in an episode of Bob’s Burgers, hosted an Open Mike Eagle-judged “I Left My Body” video contest, performed on CONAN (+ special web-exclusive) and relaunched Dial-A-Song with weekly instalments of new music at www.dialasong.com! This week’s Dial-A-Song release is “By The Time You Get This” paired with an apocalyptic chiller of a music video featuring a cameo appearance by John and John, out today! 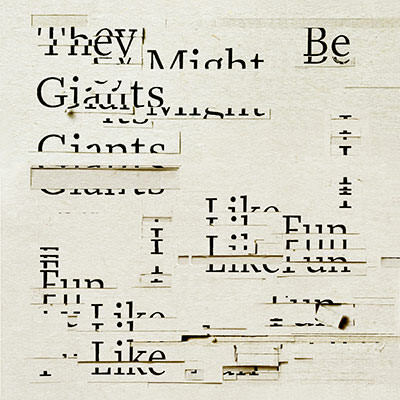 They Might Be Giants recently wrapped up the first leg of their world tour–a mostly sold-out 50-city trek across the USA, demolishing stages across the country in support of their new critically-acclaimed full-length studio album I Like Fun. After a short break and some summer festivals, the band is going back out on the road this fall with a stop at NYC’s Terminal 5 and their most extensive Canadian tour ever, following their previously announced dates in the UK and Europe. Their kinetic live energy transcends club stages as highlighted by their Rolling Stone Session and praise in The Atlantic. I Like Fun is out now on Lojinx in Europe.